Autism: disease, disorder or difference? What causes autism – genes or environment? Can biomedical treatments cure autism, and are they safe? An increased public awareness of autism has resulted in a rising trend of diagnoses, creating the impression of an ‘epidemic’. Many parents of children newly diagnosed with autism have been impressed by plausible theories blaming vaccines and other environmental causes. Many have also been captivated by claims that ‘biomedical’ treatments – including special diets and supplements, detoxification and medications – can achieve dramatic results. 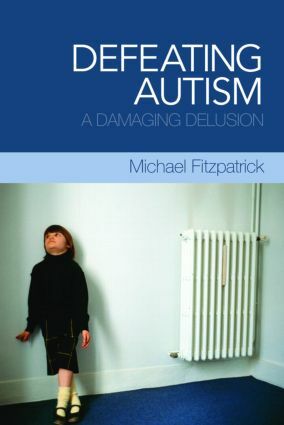 In Defeating Autism, Michael Fitzpatrick, a family doctor and father of a son with autism, questions the scientific basis of environmental explanations of autism and exposes the incoherence of unorthodox ‘biomedical’ theories and therapies. This book reveals that these therapies are far from pioneering interventions and they remain unsubstantiated by scientific authorities. Campaigns promising to ‘defeat or cure autism now’ have attracted much support among parents struggling with their difficult children. But the crusade against autism risks dehumanising and stigmatising those who are identified as autistic and their families. This compelling book is essential reading for students and professionals working in the field of autism, as well as academics concerned with the public understanding of science and the treatment of scientific and medical controversies in the media.